It is certainly true that many women find a man with crinkles round his eyes and a twinkle in them, irresistible! However, men’s eye cream is gaining many customers amongst men who take their skin care seriously. Men’s skin in general ages better than women’s because it tends to be oilier than women’s. However, the skin under the eyes does not have so many oil producing glands and is thinner in both men and women. This means, that for both sexes, the first signs of aging appear here. 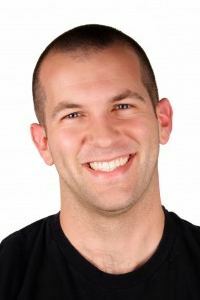 If you are a man who is suffering from puffy eyes, or you look in the mirror in the morning and feel you look like you have not had a good night’s sleep in some time, maybe it is time to take some positive action. Just as with women, men’s skin loses a lot of its elasticity with age, which leads to the drooping and sagging under eye that many begin to experience once they get to be over the age of 50 or 60. There is help in the form of men’s eye cream which tackles the area of the face where those first signs of aging appear. By treating this area with a simple application of a good eye care product, you will restore a more youthful appearance to your whole face. 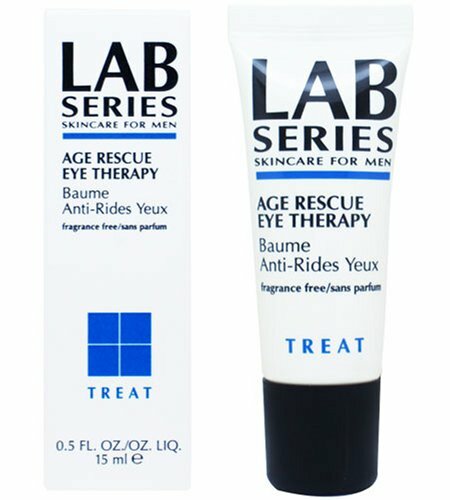 Our top product recommendation is Aramis Lab Series for Men Age Rescue Eye Therapy. This product is a multi-tasking tool as it the manufacturers promise it has a dramatic effect on diminishing the appearance of under eye circles as well as reducing the appearance of lines, wrinkles and puffiness. The product is a pleasant to use, fragrance and oil free, gel/cream which has been ophthalmologist tested and which rehydrates and smoothes the area around the eyes. You just need to apply the product to your eyes twice a day, morning and night, to see results. A close second in the men’s eye cream “top three” for us, is the Zirh International, Zirh Restore for Men. This herbal under eye cream works very well to improve puffiness and dark circles. This product requires you to simply dab a small amount of the product under the eyes and then tap it into the skin. This gentle patting, or tapping should be done with the pads of the fingertips and works to help the cream to be absorbed as well as improving the circulation in the under eye area. You can use this daily or twice daily. Top Tip: If your dark circles do not respond to the eye creams, your problem may be caused by a sinus condition causing poor drainage which will result in puffiness and dark circles. If you have tried eye creams without good results, talk to your doctor as there may be another solution. 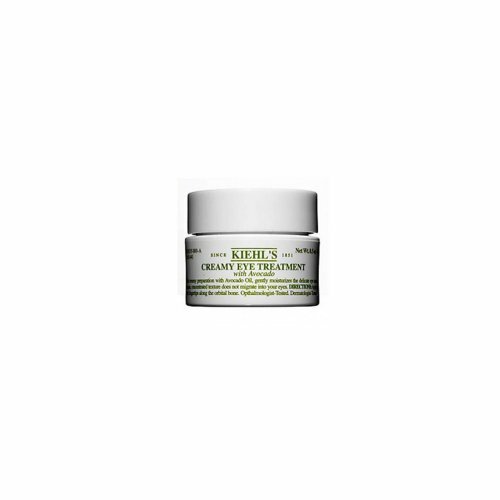 The third product on our list is Kiehls Creamy Eye Treatment with Avocado which is another type of eye cream that is very popular with both men and women. This product works well for those who are dealing with irritated skin or dry skin under the eyes and is especially effective on that ‘crepiness’ that can appear under and around the eye where the skin is very dry. It contains a natural source of nutrients your skin can benefit form, including Vitamins A, D and E as well as proteins and potassium. It should be applied by patting gently onto the skin of the under eye area. This is an effective product for reducing puffiness but also keeps your skin from dehydrating. When choosing a men’s eye cream, it is important to consider all of your options. There are many products on the market and it could well be that a different cream than the ones mentioned here will turn out to be the perfect one for your skin. If it is important to you to not use chemicals on your skin, there are many products with all natural ingredients. Some products, for some reason, like to ‘dress up’ natural ingredients with fancy names – making them sound more scientific. If you are in doubt about what an item actually is when you are reading the ingredients list on packaging, there is a really helpful web site called the Cosmetics Cop which will provide answers to your questions about this. Men’s eye cream products are well worth using. They can enhance the way your skin looks and because the under eye area is the first to show signs of aging, treating this area alone, can help to take years off your appearance! You do not have to look like you are tired or worn out as a result of dark circles as these products can help significantly with this problem.